Susan is the vision and the inspiration behind Susan Corsten Interiors. With over twenty years of experience as an interior designer, Susan is a seasoned expert who approaches every design opportunity in the same way: by listening critically, creating fresh ideas and remaining committed to excellence. Her approachable attitude is refreshing and inspiring, while her exceptional sense of style and discriminating eye for design produces stunning, and harmonious interiors. SCI believes that the interior design process, like the design solution itself, should be fluid. From the initial consultation, SCI encourages and guides clients to help them define, refine and create their very own style. Time is taken to understand the functional needs of the client, their personal design vision and current interior challenges they may be experiencing. Once all this information has been assessed, it’s used as a basis for the design. Throughout this collaborative process, designer and client are seen as visionary partners. Staying true to her passion, Jennifer Largo developed Full Circle Interiors with the curious customer in mind. Beyond just making spaces more beautiful, Jennifer strives to do more than that--she uses her intuitive creativity to make spaces functional AND stunning. Casa Bella Custom Drapery & Design Services has over thirty years of experience in the home décor and design industry. We offer excellent design services at an affordable price to Central Florida residents. Moreover, our services are aimed at perfection and our goal is to exceed your expectations. We understand that decorating your home can be overwhelming, so we offer a free initial consultation to guide you through the process. After discussing your likes and dislikes, as well as your budget for the project, we will provide you with several recommendations and options for each project. These options will range in price, and they will all be customized to your stylistic preferences. In regard to window treatments and draperies, we own our own window treatment workroom, so we have excellent attention to detail and construction. Having our own employees fabricating your draperies will give you a beautiful product at a lower cost than most designers. At Casa Bella, we pride ourselves on delivering custom home décor solutions to fit your style and your budget. We are licensed and insured, and references are available upon request. Mary Ann is a lifetime resident of Hillsborough County. While earning her degree in interior design at FSU, she spent a semester in Florence, Italy studying architecture and photography while exploring Africa and Spain between classes. As a professional interior designer, she has spent over twenty years designing residential kitchens and bathrooms as well as working with builders such as Sabal Homes, Taylor Woodrow Homes, and Southern Crafted Homes. Her most recent commercial projects include renovations and consultations with residents and owners of Assisted Living Facilities, such as Grand Court in Tampa, Grand Villa of Del Ray Beach, FL, and Shaker Gardens in Shaker Heights, OH. With several years in the construction industry, Mary Ann can creatively conceptualize and communicate with her clients the best options based on budget and scope of work. She is easy to work with, is professional, and completes tasks within a timely manner. Mary Ann enjoys educating her clients about the products best suited for them. She holds a professional license in Florida and is an Allied Member of American Society of Interior Designers. 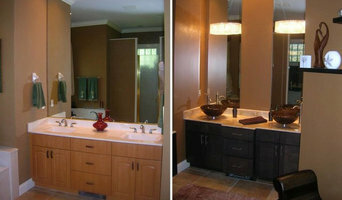 Her portfolio includes commercial as well as residential interiors. Mary Ann is married and loves spending time with her family, enjoying the beautiful Tampa Bay Area. 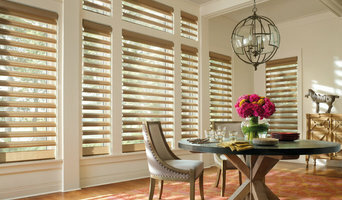 Window Expression is your premiere central Florida interior designer. Luz has been in the business for 23 years and enjoys creating unique pieces for each of her customers. From her specialty in custom window treatments to hand picked accessories, Luz has the eye of a professional and will help bring your vision to life. 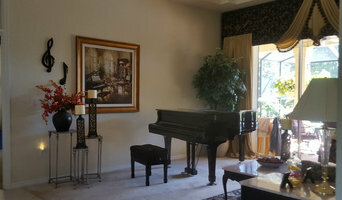 Window Expression offers a unique client experience from a trained and professional interior designer that is capable of meeting the needs of discerning clients with high expectations. NuHe Construction & Integrity Design Group, Inc.
NuHe Construction & Integrity Design Group, Inc. offers a large variety of services ranging from custom homes and remodels to interior design services. We have a showroom and warehouse with a team of experts that will be your partner from design to installation. Wanda graduated from Winthrop University in Rock Hill, SC with a B.F.A. in Interior Design and a minor in Art History. Throughout her career she has worked in project management for an architectural firm, office furniture system company and a general contractor in addition to owning three of her own businesses in three different regions of the United States. With a passion for helping people to see their dreams come to fruition, Wanda desires to work with her clients and the team that it may take to make their dreams a reality. No budget is too small. From staging homes for those ready to sell to those ready to make their existing home, or even part of it, their dream home. We can work in phases and create a master plan so that you can tackle the pieces you feel comfortable working with, while allowing me the privilege of helping you with the bigger pieces. Call me at 352.250.0311 and let's get started on your next project! I am a Designer and Artist working To create spaces Unique and Inspiring To live and work in ❤️ Featured on: “Living Big in a Tiny House” you tube Channel. Ocala Style Magazine(May 2017) TODAY.com, House Beautiful.com, 18hr39.fr(magazine) in France, Tiny house swoon.com, tiny house talk.com, Metro.com.UK magazine( Jan. 2018) Curbed.com, tinyhouses, tinyhouselistings, tiny house AU, Tennessee Crossroads TV, and numerous Newspapers in Florida and TN. Interiors by Wendy, is a full-service interior design firm that provides innovative design solutions for commercial and residential interiors. Our creative team of interior design professionals has been transforming spaces and coming up with new ways to recreate your favorite spots. We are here to help you design the space you’ve always wished you could live or work in. We work closely with each client to transform their visions into dynamic, efficient environments that meet their specific goals and objectives. Let our commitment to design, innovation, and our full range of design services make your project a success. Your home or workplace is very personal, and so is the way we approach making it look and feel like it is your very own. We’re your partner, but we’re also your advocate, and go every step of the way in order to satisfy your vision. Set up your meeting today to see what we can do for you. Sandra Vanessa Mercado specializes in residential and commercial interior design and decoration. Her works and collaborations have been published in specialized magazines such as the Decoration Agenda, Way of Life, Chic South and Home Exclusive, as well as newspapers such as El Nuevo Día and El Vocero publishing a weekly column for over 3 years in the Habitat Section. She is the former executive producer and presenter of the weekly television show "Decoracion a tu Alcance" for two seasons. In D.A.T.A. Sandra Vanessa showcased her interior design makeovers, many artisan and artists works, and also interviewed personalities such as David Kohler, C.E.O. of Kohler Co and Carmen de la Paz, tv personality and designer for many programs on HGTV and OWN, among others. Showcase Furniture has been family owned and operated for over 20 years in the same location. 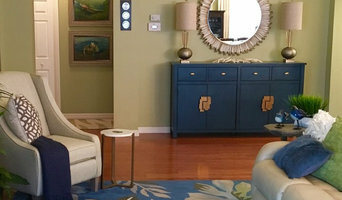 We carry everything that both Ashley Furniture and Coaster Furniture carry as well as products from a variety of other brands including: TEI, Stanley Chair Company, Symbol Mattress, Hillsdale Furniture, Stein World, Spring Air, Quality Wicker & Rattan, Updated Furniture, Ashley-Sleep, Carlton, Homelegance and Panama Jack. Our Services Include: • Expansive showroom filled with a variety of home furniture items • Upright and honest sales team with no high-pressure buying tricks or tactics • Full factory warranty on all store products • Delivery across the United States Come visit our showroom today! I am a local Interior Designer with over 12 years experience in the industry. I worked for a local high-end design firm for 10 years and branched out on my own a little over 2 years ago. I have both an Associates and Bachelors degree in Residential Interior Design from the International Academy of Design. I have worked with clients with different budget points as well as many different design genres that were dictated by the client's functional needs and aesthetics.